Winter Sprinter is a challenging but fun endless runner that’ll make you sweat buckets of cold sweat. 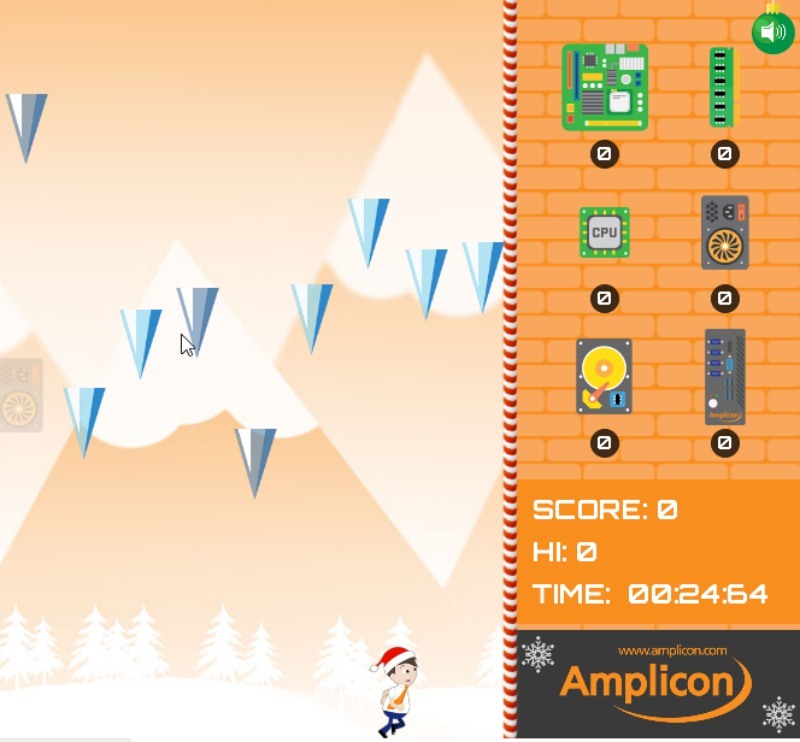 In this game, you will play as an employee who needs to collect PC parts while dodging the falling icicles. Unlike other endless runners, you are confined to a limited space, so dodging can be tricky. Another challenge is that your character can change direction, but it can’t stop running. This bespoke game is made to market the Amplicon PC services. It showcases the dedication of Amplicon employees to serve their clients, even if it means dodging falling icicles.